The Miniguum is a highly innovative and beautifully designed crib that you can use for years to come. More than a simple cradle, this sleeping space goes above and beyond most crib conversions and can be enjoyed as a lovely toy box, baby play pen, side table or play table with extra storage once your baby outgrows it. If the design aspects and transformation qualities don’t win you over, this crib’s awesome eco-features surely will. Keep reading to learn more. Made from bamboo with FSC certification and child-safe finishes. 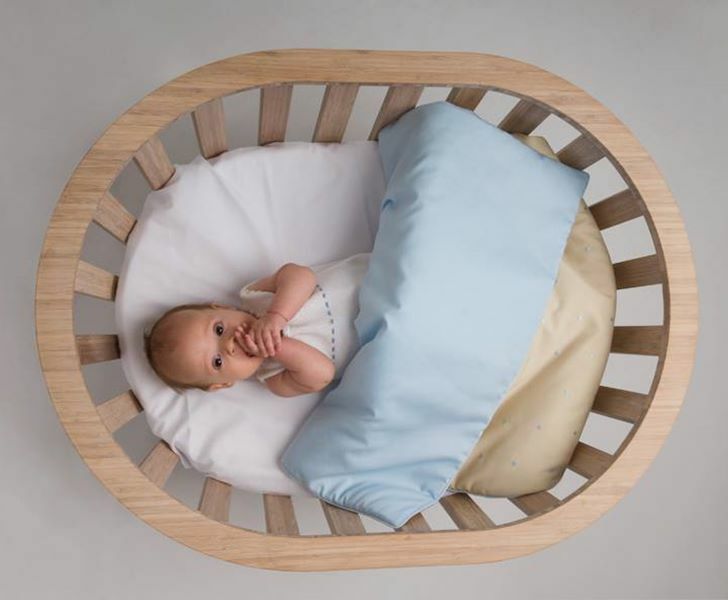 The crib’s oval shape surrounds your baby allowing for a feeling of safety and comfort. Wheels allow the crib to be moved around the entire house easily, while rubber studs keep the crib horizontal so that it won’t topple over. You can adjust the crib to be tilted in one direction or the other to aid newborns with colic or colds. The interior dimensions of the crib make it one of the most spacious round cribs on the market, while at the same time, it’s width still allows it to pass through the doors of your home. The crib and the table conversion kit are available in shades of white, chocolate or bamboo. 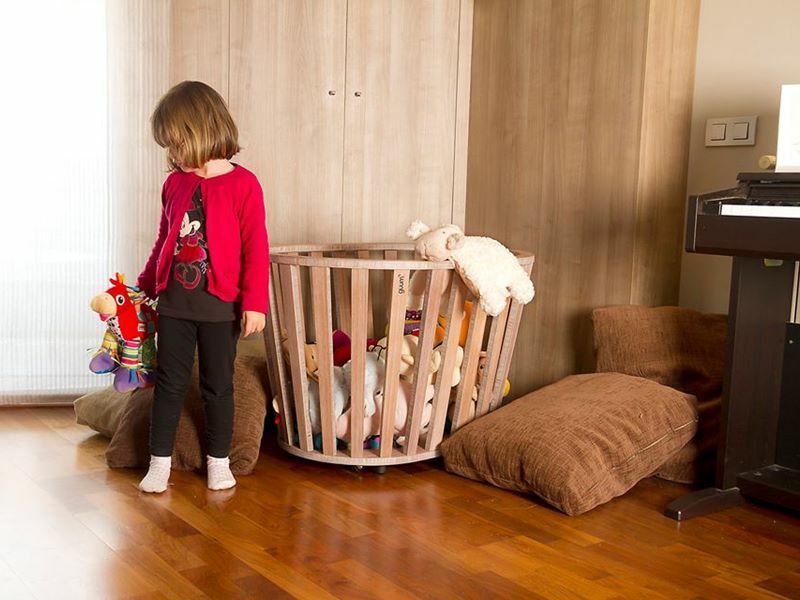 The Miniguum is a highly innovative and beautifully designed crib that you can use for years to come. More than a simple cradle, this sleeping space goes above and beyond most crib conversions and can be enjoyed as a lovely toy box, baby play pen, side table or play table with extra storage once your baby outgrows it. If the design aspects and transformation qualities don't win you over, this crib's awesome eco-features surely will. Keep reading to learn more.